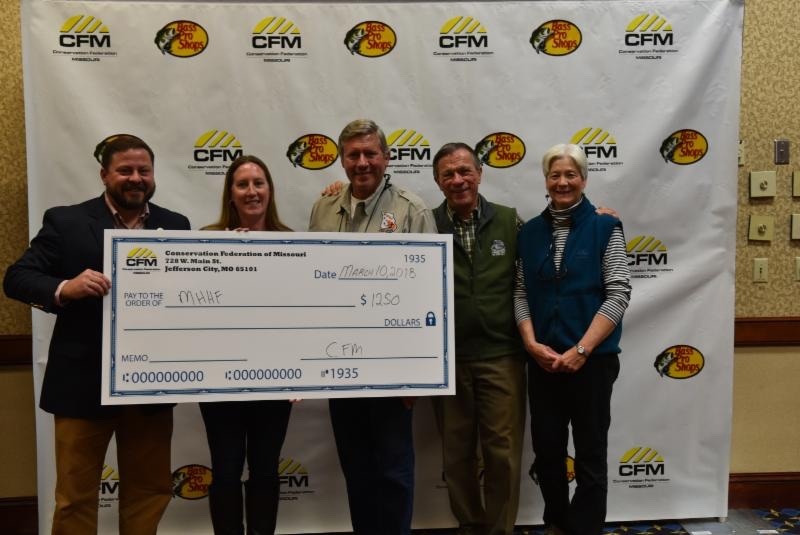 Missouri Heritage Hunting Federation was just one of many affiliates that received grant money at CFM’s annual convention. 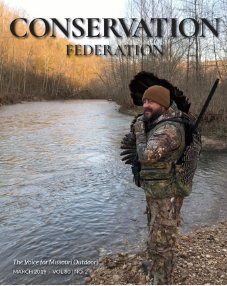 The Conservation Federation of Missouri (CFM) awarded the inaugural David Risberg Memorial Grants at the affiliate luncheon during our annual convention. These grants honor the memory of David A. Risberg, who was passionate about conservation, by making conservation projects across Missouri possible. These grants are only available to CFM affiliate organizations. “Thanks to the generosity of John and Mary Risberg, and the many donors who followed their lead, CFM has provided the first round of David Risberg Memorial Grants to 11 affiliated organizations. I am humbled and proud that the Risberg Family has placed their trust in these CFM affiliates to honor David’s memory,” said Brandon Butler, CFM Executive Director. The demand for these grants was much greater than the funds available. CFM now has much work ahead of us to raise the necessary funds to grow this important endowment so we may fund many more of the worthy projects our partners hope to implement across Missouri to better our natural world. We look forward to reports detailing all the incredible work completed with the assistance of these grants, and anticipate an even greater demand for David Risberg Memorial Grants in future years, meaning even more work will be done across Missouri.